THE MERCURY THEATER ON THE AIR was first heard as a Summer series of nine shows, on CBS affiliated stations and in Canada on the CBC. It was the first time a theater company brought drama to the radio. The shows featured hour-long dramatizations of classic books. It was produced and directed by Orson Welles, who also acted in the main roles, probably one of the most versatile and creative talents in the history of entertainment. When the Summer series ended with "The Man Who Was Thursday" on Sept. 5, 1938, CBS continued to sustain the series, until Dec. 4 of that year. It was during this time that the best known show from this series, in fact, the best known radio show in radio's history, was broadcast, the radio adaptation of H.G. Wells' "The War of the Worlds". The series didn't end on Dec. 4. At the conclusion of the Nov. 6 show, Mr. Welles announced that the Campbell's Soup Company would become sponsor. 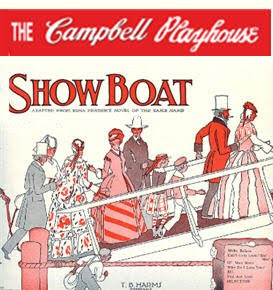 The series changed its name to THE CAMPBELL PLAYHOUSE and moved from Sunday to Friday. On December 9, 1938, the first show of the new series aired on Friday at 8:00 PM. The same creative staff stayed on, but the show had a different flavor under sponsorship. This was partially due to a guest star policy which relegated the Mercury Players to supporting roles. There was a growing schism between Welles, still reaping the rewards of his Halloween night notoriety, and Houseman, who became more like an employee than a partner. The primary writer, as during the unsponsored run, was Howard Koch. 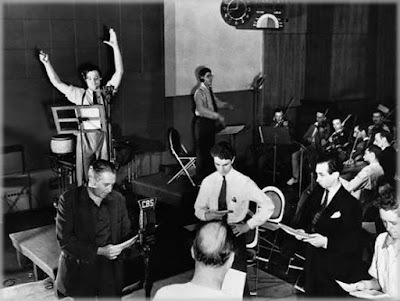 On June 7, 1946, The Mercury Theater made one last appearence on radio. This was for a Summer series, THE MERCURY SUMMER THEATER. Unlike the 1938 Summer series, these shows were only 30 minutes in length. 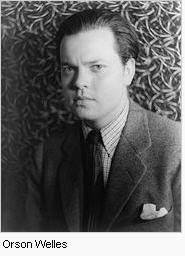 Compare titles to the other Orson Welles series. Six shows were 30 minute versions of shows of 1938. "I'm a Fool", one story of two in the broadcast of August 23, was also used in 1938. A total of 15 shows were broadcast. You'll also find one of the best-remembered shows in this series, "The Hitchhiker". First done in 1941 in the Mercury Theater series, this show appeared in SUSPENSE, on September 2, 1942 and even stared Orsen Welles. It appears in many OTR "must-have" lists.